(Bloomberg) -- The European Union is split over how long to allow the U.K. to delay Brexit, as governments look at ways to “future proof” the decision and prevent a hard-line successor to Theresa May damaging the bloc. May requested an extension to the U.K.’s membership of the EU until June 30, but the prime minister’s fragile grip on power is playing into the bloc’s response, officials said. The 27 national leaders will make a final decision at a summit in Brussels on Wednesday but remain at odds over the length of a Brexit postponement and what conditions to impose. Many EU governments want to give a longer delay because they think May’s June 30 plan won’t give enough time for the British Parliament to agree on exactly the type of post-Brexit relationship with the EU it wants. But they’re worried about the U.K. disrupting EU business to try to win a better deal, and that’s causing several governments to think that a shorter period might be better. While May on Friday promised “sincere cooperation” in her letter to EU President Donald Tusk, a French-led group of countries don’t believe that goes far enough, according to EU officials. Some want to be able to make it a clear condition of any extension that the EU will bring it to a halt if the U.K. interferes in EU business. EU diplomats are working to find a balance of length and conditions before Wednesday’s summit that will satisfy the EU’s 27 remaining leaders, all of whom must agree to the extension offer. Tusk, who chairs the summits, favors a long extension, until March 2020, according to an EU official. That view is shared by European Commission President Jean-Claude Juncker and other governments including Ireland, according to a diplomatic note seen by Bloomberg. German Chancellor Angela Merkel would be more willing to accept May’s request for a June 30 end-date, while French President Emmanuel Macron is arguing against a lengthy extension without a clear plan to end the deadlock, officials said. 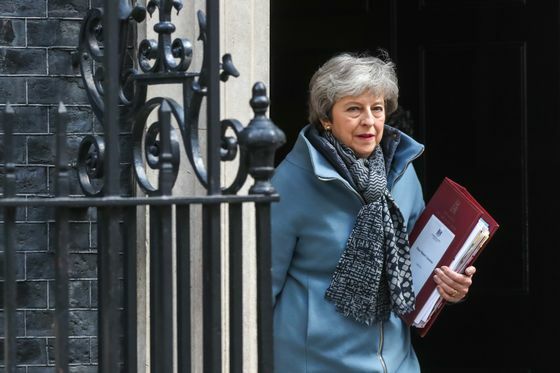 In her letter, May said the government would prepare for European Parliament elections -- due to be held May 23-26 -- in case the British Parliament hasn’t ratified the Brexit divorce deal in time. The aim would be to cancel the elections if a deal is done in time. May’s perilous position as premier, as well as her promise to resign if her Brexit deal is passed, has increased EU governments’ fears that a new harder-line prime minister could replace her before the end of the extension and seek to undermine EU business, officials said. At the very least, one of the conditions will be that the divorce deal, struck in November, can’t be reopened. Leaders might also seek a commitment that the U.K. won’t vote on future EU budgets or the appointments of the next presidents of EU Commission and Council, which are due later in 2019. EU officials said a tweet from prominent pro-Brexit member of May’s Conservative Party Jacob Rees-Mogg on Friday morning has added to their concerns.